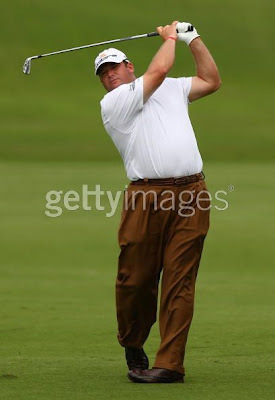 As reported earlier Jason Gore is now a Cobra Golf member and he's been playing a bit of golf down under at the Australian PGA Championship as well as the Australian Open Championship this weekend. Seeing pictures of his new clubs I couldn't figure out what kind of clubs he was playing well with the help of TourGolfSpy.com the mystery has been solved. He's playing Cobra Pro MB Blades and they look pretty sweet. The club below actually looks like a production model, with a shinier chrome finish. 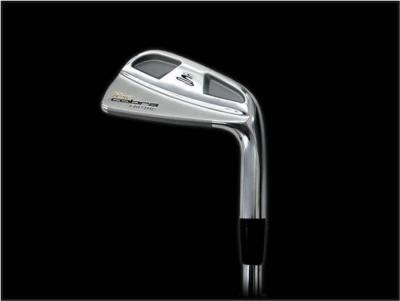 The prototype irons Jason is playing at the Australian Open Championship are more satin finish. Pretty interesting site you've got here. Thanx for it. I like such themes and everything connected to this matter. I definitely want to read a bit more on that blog soon.